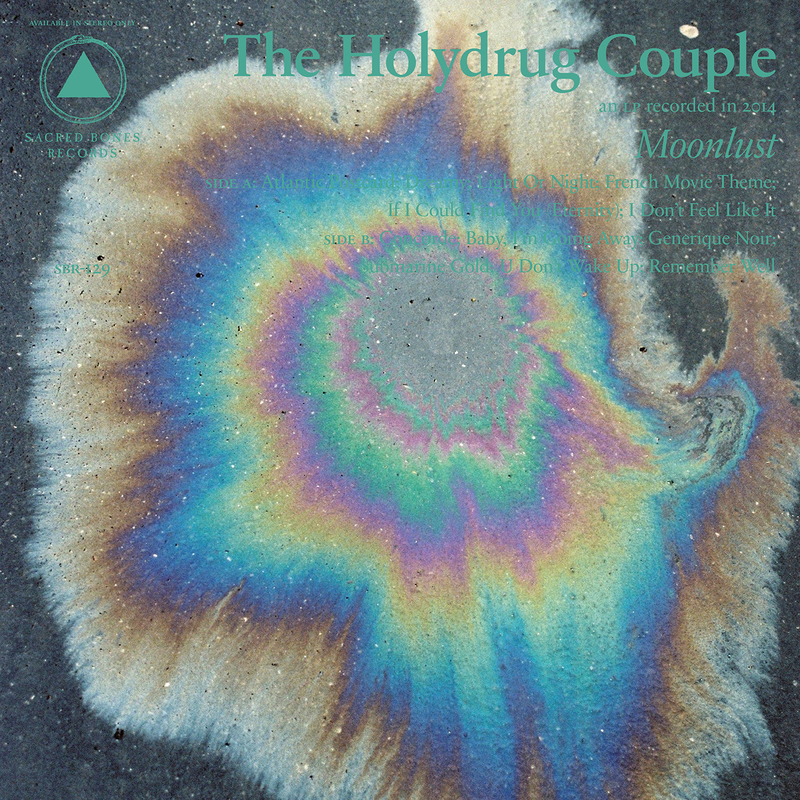 “Dreamy” is the glowing new single from Chilean duo The Holy Drug Couple’s new album, Moonlust, out May 12 on Sacred Bones Records. The record is their most cultivated release to date, drawing heavily on influences from French film soundtracks and Serge Gainsbourg. The track itself emerges like a foggy night and steadily progresses down an invisible road, a poppy drumbeat laying the ground upon which a funky, unchanging bass line prances. Choral guitar appears and disappears through breezy synthesizers and watery vocals, like the Cocteau Twins and French psychedelics. The mood is visual and dream-like, but ends realistically, unfairly and abruptly, like awaking in bitter disappointment to find it was just a dream.